As a multi-specialty practice, the Centre provides general and special dental treatments under one roof, for the utmost comfort of our patients. Ceramic Onlays: The Solution for treating a damaged or decayed tooth. Ceramic Onlays: The Solution towards dental fillings and resin-based materials of known toxicity. Fixed Prosthodontics or permanently fixed prostheses. Produced using computer technology, e.g. 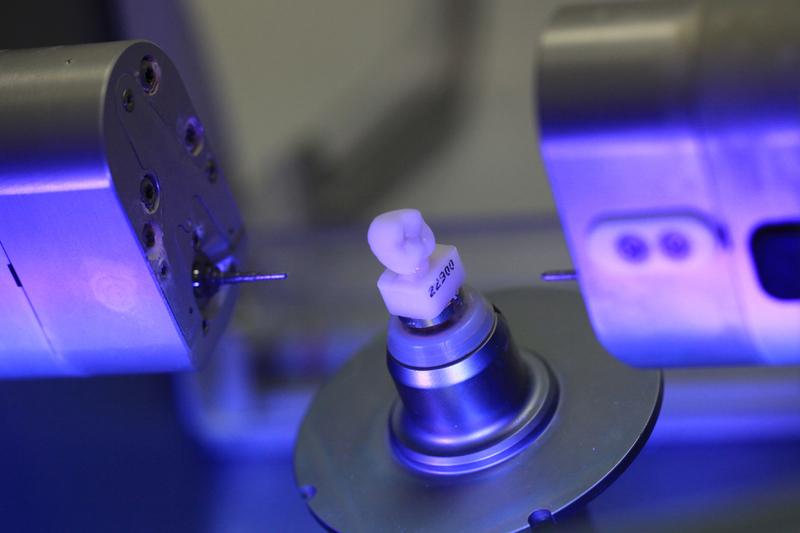 CAD/CAM technology which is based upon 3D design, the All-ceramic or all-porcelain dental crowns provide better natural color match than any other crown type and are suitable for people with metal allergies. The Solution for treating a damaged or decayed tooth. 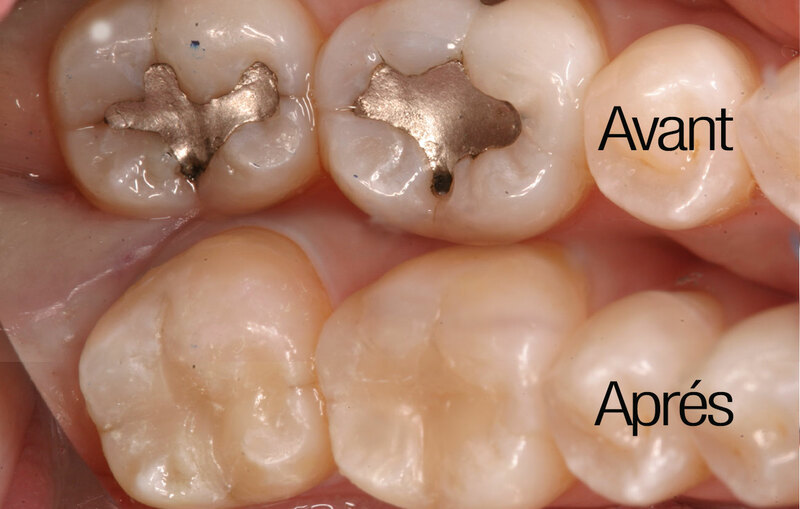 An onlay is an all ceramic restoration which helps to conserve the structure and avoid a more invasive crown. An optical impression is taken of the existing tooth and a color matched onlay is milled to fit perfectly with the rest of your teeth, thus giving a realistic appearance from a cosmetic point of view. Onlays help to conserve the tooth structure because their use requires minimal removal of a tooth’s surface. Onlays help patients avoid the eventual need for more costly treatment that requires dental crowns, dental bridges, or dental implants. A dental implant is a surgical component that interfaces with the bone of the jaw and provides a strong foundation for fixed (permanent) or removable replacement teeth that are made to match your natural teeth, with many advantages, like improved appearance and comfort, easier eating, improved self-esteem (dental implants can bring back your smile) and improved oral health as dental implant does not require reducing other teeth as nearby teeth are not altered to support the implant. Fixed Prosthodontics or permanently fixed prosthesis. Fixed prosthodontics are used to restore single or multiple teeth and spanning areas where teeth have been lost. In general, the main advantages of fixed prosthodontics, is the ability to create an aesthetic looking tooth, through a complete restoration by using four to six implants to which the entire prosthesis will be fixed. A most suitable alternative to removable prosthesis or in cases where several teeth are missing. Veneers are ultra-thin layers of ceramic (porcelain) or a composite resin material, which are bonded to the front of teeth for improving the aesthetics of a tooth or for protecting the tooth’s surface from damage. One or two sessions may be required to transform your smile. With the CAD/CAM technology of CEREC, dental veneers are shaped and custom designed only for you. With Invisalign smooth, comfortable aligners, there are no irritating brackets or wires to worry about and no food restrictions that will change your eating habits. From the moment you start Invisalign treatment, you’ll enjoy a better smile every day. Do not hesitate to talk to our dentists. The whitening procedure is ideal for just about any patient who has discolored or stained teeth. First, we shall begin by covering the teeth and gums, so that the teeth are the only area exposed. Then, the whitening gel is applied to the teeth, before using the lamp, whose light together with the gel, work together to gently penetrate the teeth and break up stains. All through the procedure, you can just relax and listen to music. When done, you can resume your normal activities, with the brilliant smile you have always wanted. The dentition can be compared to a building and it is essential to build on a solid foundation. It is the same for dentition.. in oder to maintain strong dental capital, a healthy gum is essential. It is high recommended to have a gum care first and other dental treatment to ensure a healthy dental capital.